NEW YORK (AP) | Episcopal Bishop Robert Duncan of Pittsburgh, whose diocese is moving toward splitting from the national church, was ousted from ministry Thursday by the bishops of the U.S. Episcopal Church. Bishop Duncan, who led the Pittsburgh diocese for 11 years, is a leader in a national network of theological conservatives who are breaking away from the liberal denomination in a dispute over biblical authority and sexuality. The long-simmering debate erupted in 2003, when Episcopalians consecrated the first openly gay bishop, V. Gene Robinson of New Hampshire. The Pittsburgh diocese said in a statement that it will move ahead with the Oct. 4 secession vote despite Bishop Duncan’s removal. If the diocese decides to split off, it will align with the like-minded Anglican Province of the Southern Cone in South America, which has already taken in Bishop Duncan as a bishop. The Episcopal Church is the U.S. branch of the worldwide Anglican Communion, a 77-million-member fellowship of churches that trace their roots to the Church of England. National Episcopal leaders are facing lengthy and expensive legal battles with conservatives who want to leave and take their property with them. 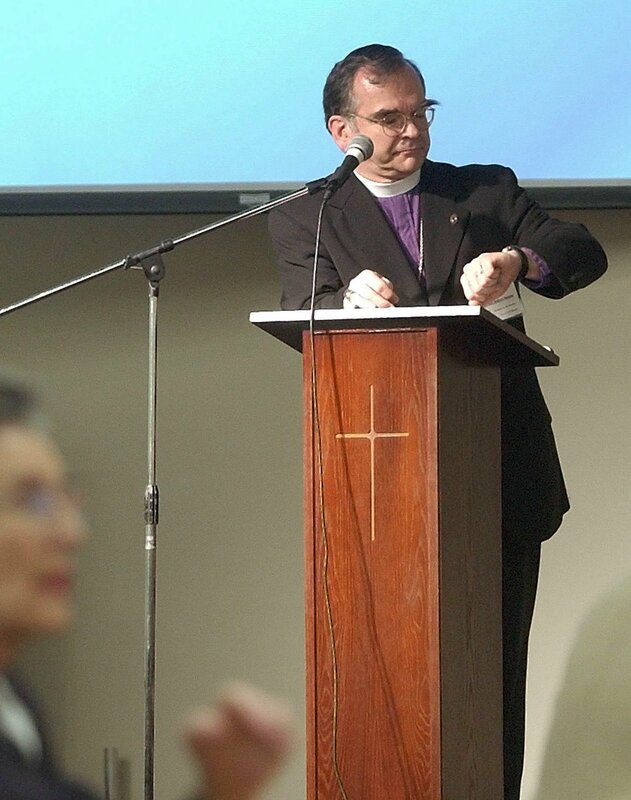 The first Episcopal diocese to split off was San Joaquin, based in Fresno, Calif., in a 2006 vote that also aligned the diocese with the Anglican Province of the Southern Cone. Soon after, a hand-picked bishop loyal to the U.S. church was elected to head the diocese, while the national church entered a legal fight for control of the diocese and its millions of dollars in assets. Eleven conservative Northern Virginia churches have won the preliminary steps in their fight with the Diocese of Virginia, which is backed by the national church, over their parish property. A third conservative diocese – in Fort Worth, Texas – is set to vote in November on whether it should secede.